This Westport priest served at Mayo Abbey Parish for a decade plus on the Aran Islands. Fr. 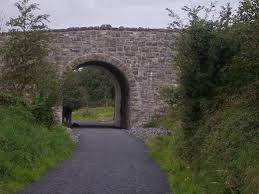 John Mc Greal’s ancestors arrived in Westport from Ulster as Linen workers during the 1700’s. 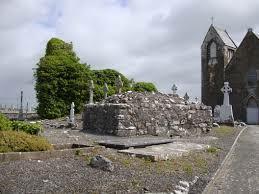 The stone tablet on gable wall of small chapel across from Aughavale Cemetery says ‘In loving memory of Patrick McGreal Newforest Carnalurgan Husband of Anne, Father of Dr. Patrick, John, Catherine, Domnick and Michael. He died in 1799 age 47 years.’ Patrick was the Patriarch of the Mc Greal Family. 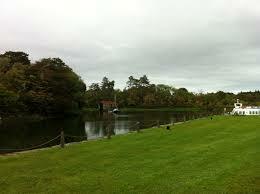 Patrick’s son John was herd’s man for Lord Sligo of Westport Demesne. I John McGreal, Roman Catholic Curate of Kiltullagh hereby devise and bequeath all my sacred vestments and altar linens to the Chapel of Cloonfad in the above named parish, except my Chalice, PAteur and Satin Vestments (with suit) with alb amict, and Altar Cloths and Missal that are in a box. With regard to any other goods and chattels I leave them to my executrix for my burial expenses, and hereby name as my executrix, Barbara McGreal of Westport. My sister Roisin and I were privileged to attend the Centenary Mass in Mayo Abbey church in honour of Fr. John on 9th March 1988. We brought gifts to altar during the service.